This annual meeting of the University's the supreme governing body is the forum for major decision making at The UWI. Previous awardees have been Sir Philip Sherlock, Sir Alister McIntyre, P. J. Patterson, Vice-Chancellor Emeritus, the late Professor Rex Nettleford and most recently Vice Chancellor Emeritus Sir Shridath Ramphal. Research Collaboration (the One UWI Award) and excellence in International Collaboration (the Globalisation Award). All awardees, having proven themselves exemplars in their respective pursuits, are presented with a citation and a monetary prize. 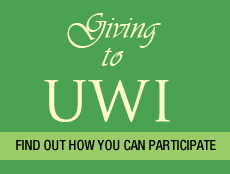 Since its inception, awards for Excellence have been presented at ceremonies rotated among The UWI campuses. The 2016/2017 ceremony took the total of prestigious Awards to 126. The Awards Ceremony is one of the highlights of the University’s calendar. This ceremony takes on added significance under the leadership of Vice-Chancellor Professor Sir Hilary Beckles, who was one of the very first recipients of the inaugural Award.